The Editor posted a Facebook Status Update today on his personal Facebook Wall. A quick check on the comments & LIKES for the last 10 hours sees the status attracted over 60 “Likes” as this article is being posted, had over 30 Comments by supposedly Sigma Brand users and the Status were shared by fellow Sigma Fans for a total of 8 times across 14 Facebook Accounts and in 4 interest group’s Group Page. So will our Editor Allan Lee succeed in pulling off this stunt? 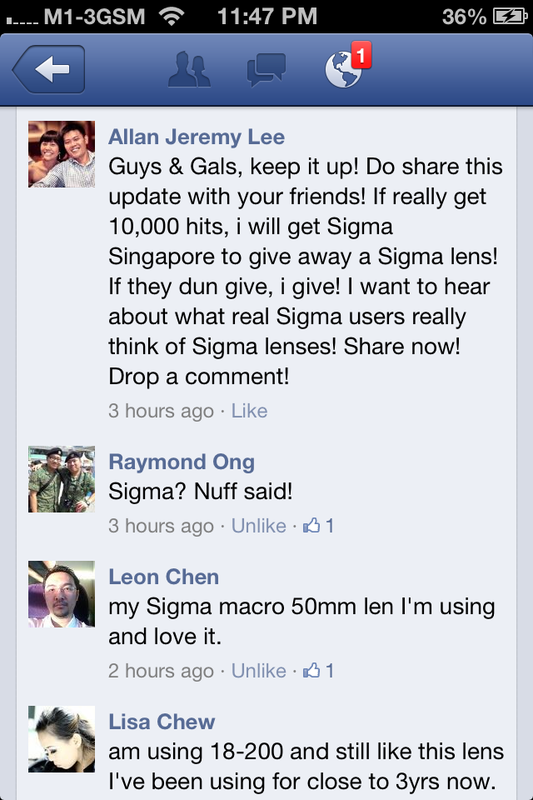 And getting Sigma Marketing (Singapore) to pick the best comment and rewards the person with a Sigma Lens as requested by the Editor? Lend your support now! If you are a Sigma user, “LIKE” the status Update, Comment on which Sigma Product you are using, or used and why you like it. 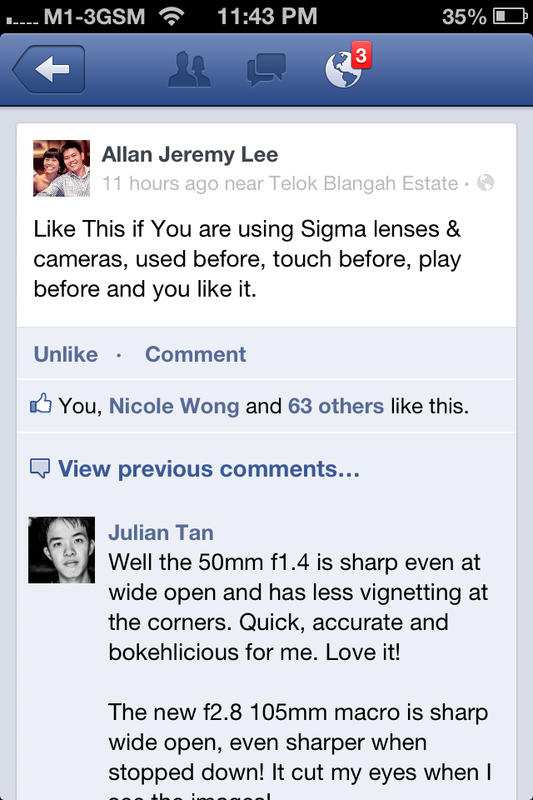 If the Status does hits a 10,000 “LIKES”, you may just get a Sigma Lens – simple as that! Here’s the Link to the Editor’s Facebook Update, show your support now! This entry was posted in Brand: Sigma, Photography Contests, Uncategorized and tagged Contest, Sigma. Bookmark the permalink.